In this month's Heads Up, Headmaster Jones points us to The New York Times Magazine article, "The Way to Survive It Was to Make A's" that chronicles early desegregation. I trust that everyone is settling in well to the new school year. I realize that there is a good chance that you are feeling inundated with all things Cathedral School right now, and thus, I had anticipated posting my first blog of the year much later this month. After finishing an article this morning, however, I felt compelled to communicate. Some of you may recall one of my previous posts that reflected upon a podcast titled "Carlos Doesn't Remember" from Malcolm Gladwell's Revisionist History series. That podcast considers a program in Los Angeles that places economically disadvantaged students into private schools, and it raises many of the same questions and implicates many of the same ideals that we continue to grapple with and strive for at Cathedral School. In that same spirit, I offer this fascinating article from The New York Times Magazine titled, "The Way to Survive It Was to Make A's," that chronicles early desegregation efforts at a few southern private schools. 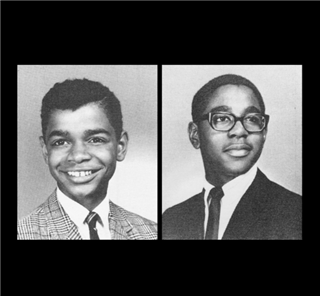 As I made my way through the article, I was humbled by the courage of young men like Bill and Marvin, who at the time were roughly the same age as our own sons, and inspired by the vision, some would say temerity, of a handful of schools and educators bold enough to embrace this effort. I continue to envision Cathedral as a place that strives to remain accessible to any capable young man, regardless of his circumstances. I realize, too, that we still have work to do. As always, your comments about this artilce and the Heads Up Blog are most welcome.